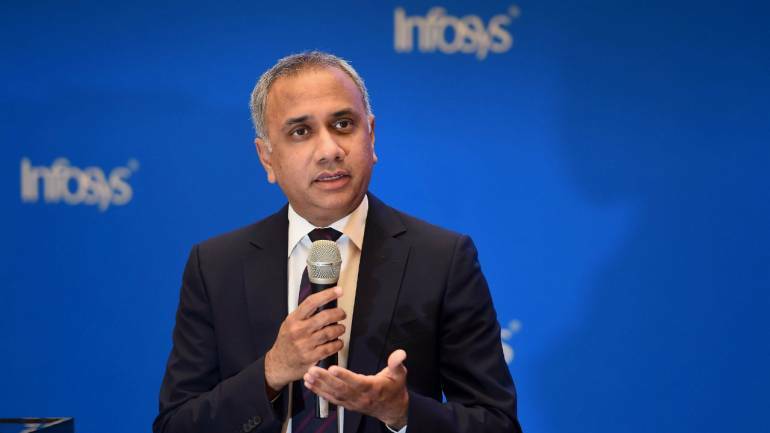 Biznextindia : Infosys, India’s second largest IT services provider on Friday reported profit at Rs 4,078 crore in Q4, registering a growth of 10.51 percent over previous quarter. The profit was at Rs.3610 Crore in the previous quarter ending December 2018 and Rs.3690 Crore in the corresponding quarter in FY18. Dollar revenue for the quarter stood at at $3,060, growing 2.44 percent sequentially. Operating profit margin contracted to 21.4 percent against 22.57 percent in previous quarter. Meanwhile, Profit for the whole 2018-19 financial year has dropped to Rs.15410 Crore from Rs. 16029 Crore. Infosys has announced final dividend of Rs.10.50 per share. The software major has kept FY 20 revenue guidance in the range of 7.5%-9.5% in constant currency terms and FY 20 Operating margin guidance in the range of 21%-23%.